무료 개발툴 - Serial Terminal tool on Windows Hercules 유용한 시리얼 터미널 프로그램이다. 물론 프리웨어 Freeware 이다. 링크 정보는 아래와 같다. 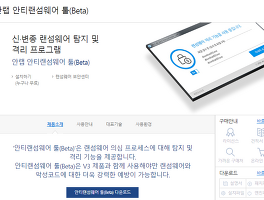 https://www.hw-group.com/software/hercules-setup-utility 실행 그림은 아래와 같고, 사용법은 아주 직관적이라 쉽게 사용가능하다. 또한 시리얼 터미널 이외에 간단한 TCP/IP 소켓 테스트도 가능한 툴로 아주 유용하다. Hercules SETUP utility is useful serial port terminal (RS-485 or RS-232 terminal), UDP/IP terminal and TCP/IP Client Server terminal. It was created for HW group internal use only, but t..